I think I found your next car charger. 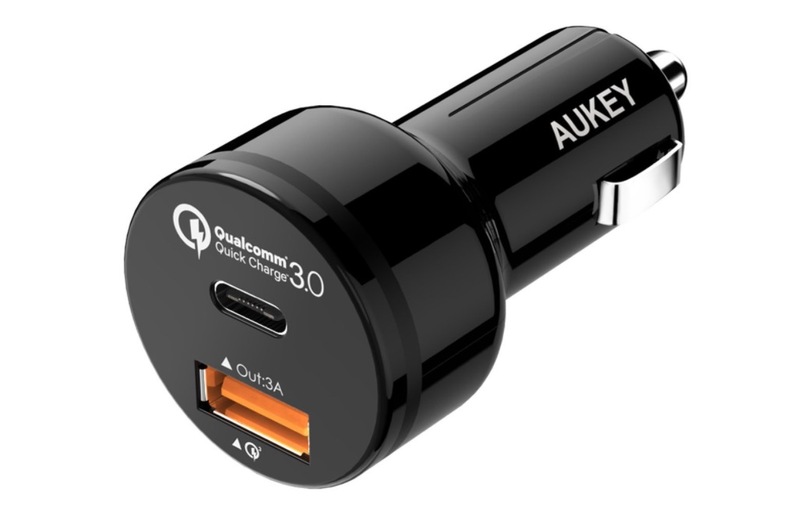 The AUKEY dual port car charger with both USB Type-C (5V/3A) and Quick Charge 3.0 USB ports can be had at Amazon right now for just $9 with code. It typically runs $20, so we’re talking a heck of a deal. With this, you’ll get QC 3.0 charging speeds while on the go out of the standard USB port, but that Type-C port at 5V/3A will also charge your Type-C devices quickly. It’s like the perfect charger, since we almost all have old USB cables lying around right next to our new set of Type-C to Type-C cables. Use code “PGR948US” at checkout to drop the price from $19.99 to $9.